Take this 4th Grade Place Value Test to identify the place value of digits in large numbers, and read and write multi-digit whole numbers. This quiz has ten problems: six multiple choice, one fill in the blanks, one matching, and two drag and drop problems. Fourth grade students will identify place value of whole numbers through hundred millions. They will also round numbers to the nearest ten, hundred, thousand, ten thousand, hundred thousand, million, or ten million. 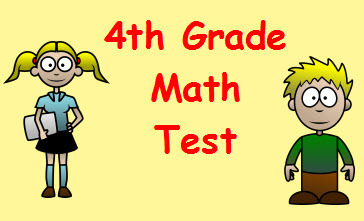 Return from this 4th Grade Place Value Test to the Elementary Math Tests , 4th Grade Math Tests webpage, or to Math Tests.